Eastern Washington University has selected ALSC Architects to handle the predesign services for a potential remodel of Roos Field. Most football games have been sold out for the past 15 seasons in the 8,600 seat stadium. The university is interested in expanding the number of seats to between 12,000 and 15,000, along with other upgrades. The pre-design report is expected to be completed by the end of January. The Azteca Mexican Restaurant at 245 W. Spokane Falls Blvd across from the Convention Center, is now Maracas Mexican Grill, the second Maracas restaurant in town. Owners Arturo and America Zalpa have operated the Azteca franchise restaurant for about 15 years, before turning it into the family-owned and operated Maracas Mexican Grill. The other Maracas is located at 2910 E. 57th, on the South Hill. 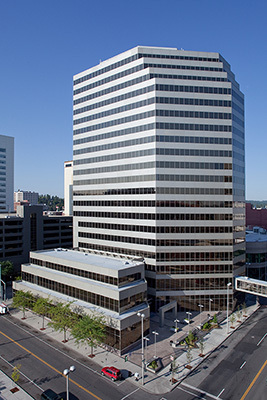 The Bank of America Financial Center at Howard and Riverside, the tallest building in Eastern Washington at 288 feet, has been sold to Canada-based Redstone Group. Unico Properties was the seller in the $47.7 million transaction, which includes the 20-story, 330,000-square-foot building at 601 W. Riverside Avenue, as well as the 8-story parking structure to the south, connected to the building via a skywalk. Before they left town after their sold out, December 2 concert at the Spokane Arena, Metallica donated $100,000 to Spokane Community College for Workforce Education programs. The band's charitable foundation, All Within My Hands, selected SCC as one of 10 colleges to receive donations. The band also gave a $10,000 donation to Second Harvest. 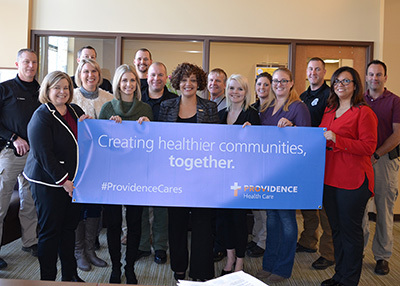 With a grant from Providence Health Care's Community Benefit Fund program, YWCA Spokane begins its second year of offering support to victims of intimate partner violence in the healthcare setting. Intimate Partner Violence Hospital Response Program is a partnership between YWCA Spokane and Providence Sacred Heart Medical Center & Children's Hospital and Providence Holy Family Hospital, which connects victims of intimate partner violence (IPV) with trained advocates through partnerships with healthcare providers and law enforcement to mitigate the impacts of IPV on both victims and their children. The program builds on tools and processes developed with law enforcement to train medical staff in best-practices for identifying and screening for IPV. Through these partnerships, the YWCA delivers confidential, in-person advocacy to provide victims with information and safety planning, connect them to resources, and give them options so they are not forced to return to their abusers. Presentation of the grant award included YWCA hospital advocates and law enforcement from the Domestic Violence Unit housed within the Spokane Family Justice Center at YWCA Spokane. For more information, visit www.ywcaspokane.org. Robert Schmidt, AIA, has been hired as a Project Architect and brings more than 24 years of architectural experience to Architects West. Robert previously worked for Longwell + Trapp Architects and Integrus Architecture in Spokane. He earned his Bachelor of Architecture from the University of Idaho in 1993 and is s licensed in the State of Idaho and is AIA and NCARB Certified. His experience includes civic, K-12, higher education, commercial, justice and government projects. 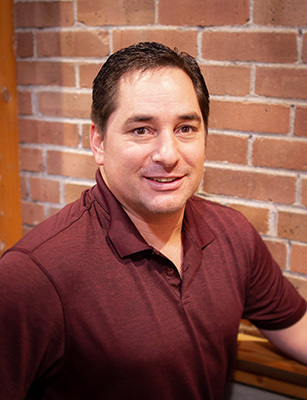 Robert is a national board member for the University of Idaho VSF and an executive board member for the Kootenai County Girls Softball Association. Some of his current projects include work on an office remodel and the City of Richland Water Treatment Façade Replacement, among others. For more information, visit www.architectswest.com. Jeannie and Tony Choi recently opened D'bali Asian Bistro in Airway Heights on West Sunset Highway, and is open for lunch and dinner. 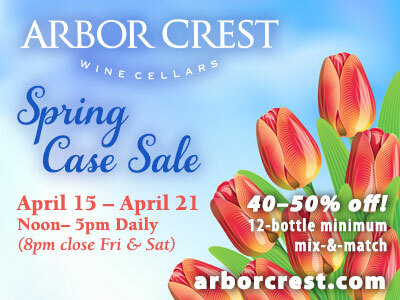 Hours are Monday-Thursday 11am-3:30pm and 4:30-9pm, Friday 11am-10pm, Saturday 1-10pm. Closed Sunday. They are located at 12924 W Sunset Hwy Ste 6 in Airway Heights. 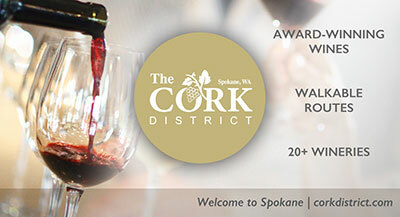 The restaurant offers 10% off for all U.S. service members and Alaska Air Group employees. For more information, call 509-230-8629. During the winter months, as our neighbors in need struggle to afford groceries while heating and other expenses increase, Second Harvest must do more to get food to where it's needed most. Your donation today will help families in our area. Safeco Insurance will generously match up to $25,000 in donations, so your gift will have double the impact. That means every dollar you give right now will provide food for 10 meals. Thank you for joining us to give the gift of hope and food this holiday season. "Personal development is a daily vitamin for the mind to combat fear, gossip, and doubt."